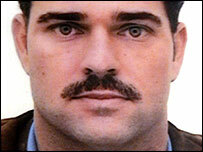 A former US marine has been jailed for life for the murder of Pc Ian Broadhurst, who was shot in Leeds on Boxing Day 2003. David Bieber, 38, was also convicted of the attempted murders of Pcs Neil Roper and James Banks. Newcastle Crown Court heard how Bieber shot Pc Broadhurst in the head at point blank range despite the 34-year-old pleading for his life. Bieber, of Springwood Road, Leeds, was ordered to spend his life in jail. The bodybuilder was given concurrent life sentences with a minimum of eight years for the attempted murders of Pcs Roper and Banks. Bieber had fled to the UK after he was wanted in the US for conspiracy to commit murder. He started a new life using the alias Nathan Coleman. Jailing him, trial Judge Mr Justice Moses told Bieber he had shown "no remorse or understanding of the brutality" of his crime. The judge said Bieber had continued to maintain a cool and detached approach when attempting to explain the evidence against him. The judge said Pc Broadhurst and Pc Roper had treated Bieber with "conspicuous fairness and consideration". He added: "You repaid their courtesy by killing Pc Broadhurst and attempting to murder Pc Roper." He told the court the aggravating feature in the case was that Bieber did not need to shoot Pc Broadhurst through the head. He added: "You had already disabled him and he was defenceless. "You could have escaped then but you chose to wait and fire a second shot at point-blank range. "It must be acknowledged that he might have died as a result of your first shot, but you made certain of his death." The judge said that action meant Bieber could not be released early from jail and must spend his life in prison. He has become one of only 25 people to be given "whole" life sentences in England and Wales. Others have included Harold Shipman, Myra Hindley and Jeremy Bamber. Justice Moses said: "To shoot and kill an officer in such circumstances, doing no more than trying to serve us all, is an attack on all of us, and whilst it is a tragedy for family, friends and colleagues which we cannot share, it is a loss to us all." The jury of six men and six women delivered unanimous verdicts on all of the charges. They did not know Bieber was a drug dealer who had fled to the UK from Florida where he was wanted by police over a plot to hire a gunman to kill a love rival. Bieber was also suspected of hiring the same gunman to murder his former girlfriend, but the attempt on her life failed. Security had been tight throughout the trial with a police helicopter circling the court each day and roads closed when he was brought to the court. Armed officers were also on duty around the court. An audio recording of the shooting incident was played to the jury during the 11-day trial. 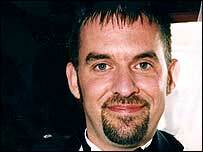 Pc Ian Broadhurst was heard to plead for his life before being "calmly" shot in the head. He and his colleagues had been checking a car, a black BMW, which they suspected had been stolen. Voice recording equipment in their patrol car was switched on and the court heard conversations between the officers and Bieber. Pc Roper was heard to get out of the patrol car and open the rear door to handcuff the man in the back. At that stage the officer shouted "He's got a gun" and that was followed by four shots and screams. Then the words, "No don't, don't. Please, please no", followed by a fifth and final shot. Pc Broadhurst was initially shot in the chest. The second and third shots were fired at Pc Roper hitting him in the shoulder. 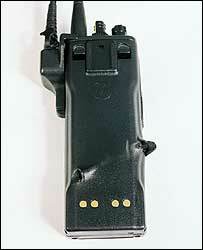 A fourth shot was aimed at Pc James Banks, who was saved when it hit his radio. The fifth and final shot was fired inches away from Pc Broadhurst's head as he lay pleading on the ground. Bieber had claimed a friend of his, a fellow US national from Florida, was the gunman. But the former marine, who had trained with handguns and assault rifles for a year before being discharged, refused to name the man in court.